We extend a cordial invitation to come and relax in our centuries old Eco-Friendly farmhouse nestled in the Northern Catskill Mountains in Greene County, NY. 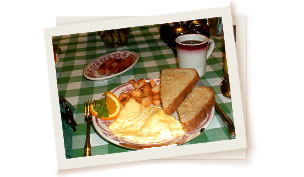 Come Enjoy our warm family atmosphere that has been receiving guests since the 1880’s. 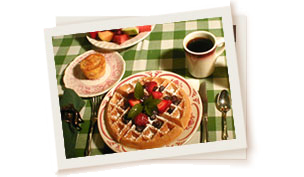 Looking for a romantic getaway or just a weekend of relaxation in an Upstate New York Bed And Breakfast? Then the accommodations at this Hudson Valley getaway is just the place for you. Come relax with a book, unwind on the dock or play old fashioned board games. There’s as much or as little as you’d like to do. For your convenience we feature Central Air Conditioning and Wireless Internet Access. The Deer Watch Inn is committed to doing its part to lessen its footprint on the environment. 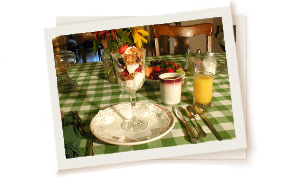 We are an environmentally sustainable, socially responsible Green Bed and Breakfast. We recycle and compost, use energy efficient appliances and lights, rain barrels, clotheslines and non toxic cleaning supplies. We also have installed solar panels to generate electricity. Come see our meter go backwards!